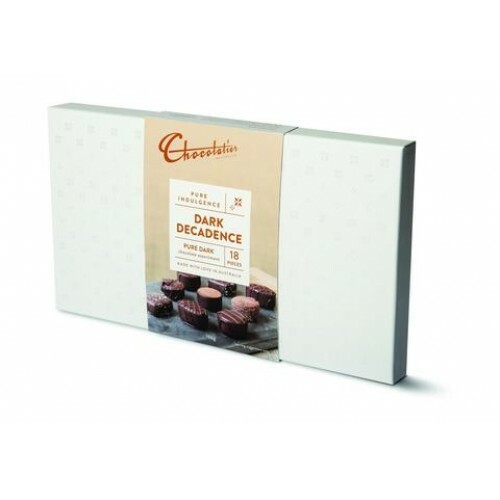 Chocolatier's Dark Decadence Box is an indulgent gift for any occasion. The stylish white box contains an array of 18 pieces, with flavours including: Dark Salted Caramel, Espresso, Pure Dark Truffle, Salted Caramel, Belgian Wafer and Dark Chocolate Brownie Truffle. A true indulgence for lovers of dark chocolate.